bedazzling the crowd withTeh Tarikmoves. 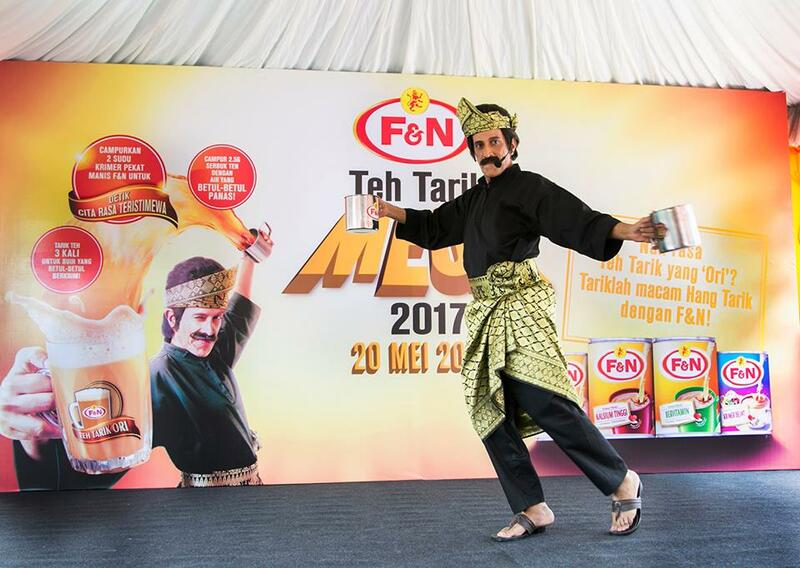 F&N has preserved the heritage of the original Teh Tarik whilst strengthening the real great taste across generations and ethnic groups. With its recent Hang Tarik F&N campaign, F&N is once again bringing delight to Malaysians by sharing the best way of making a perfect Teh Tarik Ori for family, friends and customers. 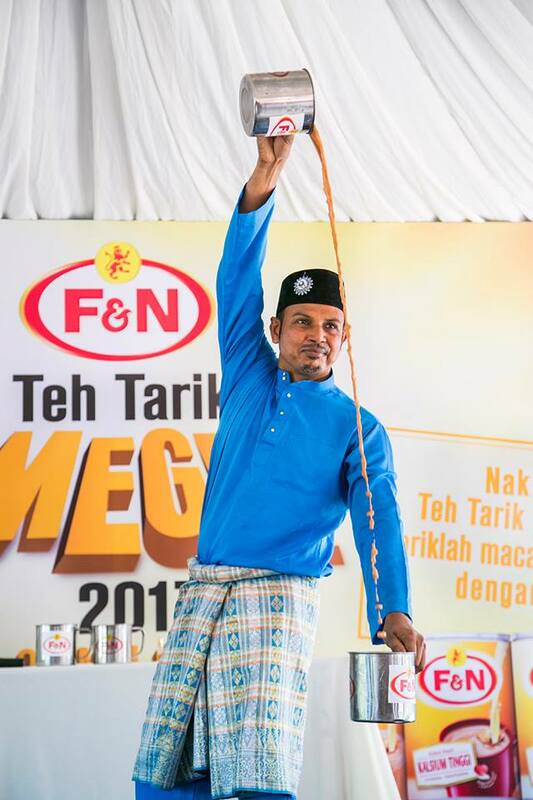 introducing the “Gold Standard” and Teh Tarik Master, “Hang Tarik” at Mydin USJ. I am glad I was there, the event was held last Saturday morning. Time flied as I last attended the Teh Tarik event was in 2014. 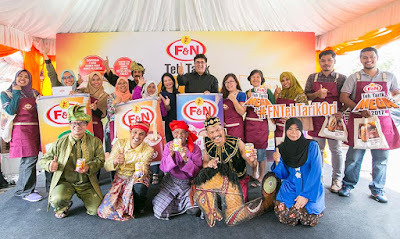 At the launch, F&N unveiled its new F&N Raya Dengan Hang Tarik video which featured Hang Tarik F&N coming to the rescue of a frazzled family preparing to welcome their guests during the festive season by sharing the secret to making a good cup of Teh Tarik Ori. The other key highlight of the event was when Hang Tarik F&N and the F&N Teh Tarik Experts came together to bedazzle the crowd. 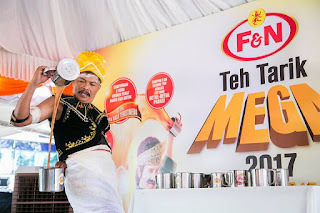 With Teh Tarik moves that incorporated the unique and diversified cultures across Malaysia, the experts demonstrated how Teh Tarik Ori best enjoyed within the context of authenticity and heritage of our rich Malaysian culture. 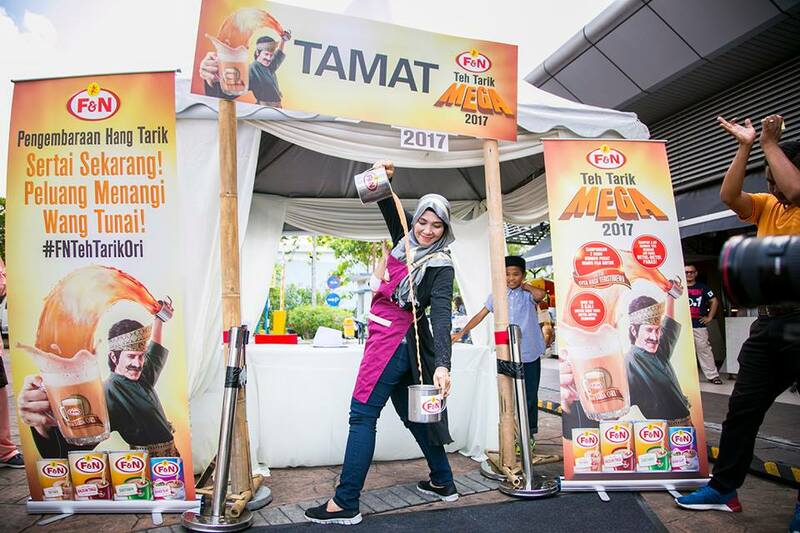 Shoppers at Mydin for the very first time ad the chance to learn to make the perfect Teh Tarik Ori through a series of simulated game obstacles to be completed within a set time frame. “Organising experiential events such as the one today is a good platform for us to share, engage and reward our loyal customers in a fun way. 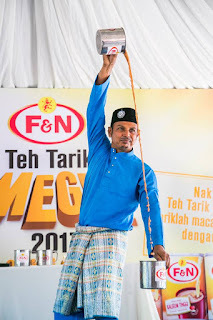 It has been said that years of training and experience is needed to learn the art of making Teh Tarik, but now everyone can learn to make a perfect cuppa which has a “just nice” sweetness that is creamy, smooth and frothy;all you have to do is “kahwin” F&N Sweetened Condensed Milk and F&N Evaporated Milk,” Ms. Eileen added. 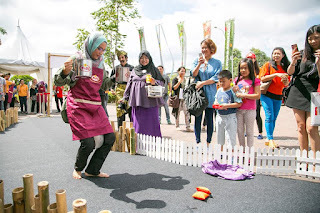 I was there with shoppers to cheer as the first participant crosses the series of Pengembaraan Hang Tarik simulated game obstacles. The winner from each session is determined by the shortest time taken to complete challenge with minimum spillage from their kole. It was fun to see the participants trying their best in the games.